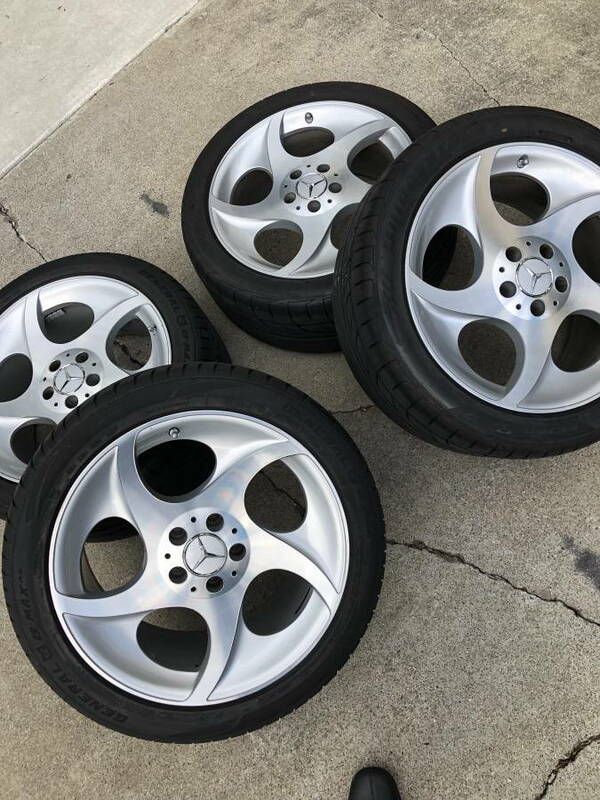 For sale is a nice set of staggered 18" wheels and tires from my own Mercedes SL55 AMG. 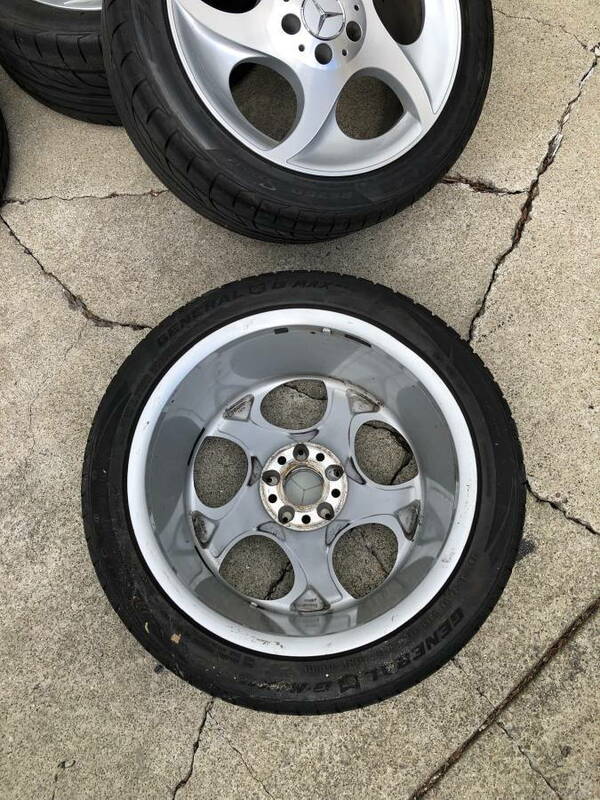 These are original, OEM, German made wheels. Very high quality. Made by Ronal. Not cheap replicas. The wheels come with great tires on them - tires have 80-90% rubber on them. Balanced and ready to go. 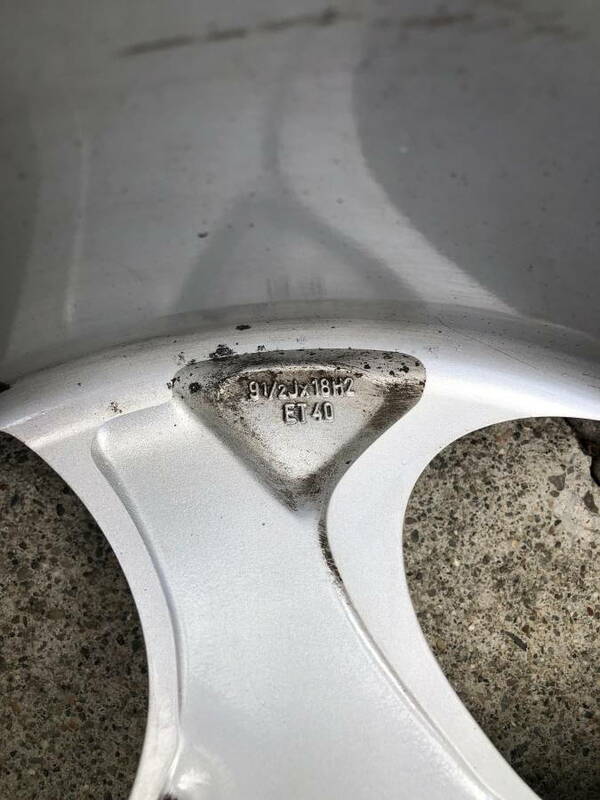 Tires are less than 2 years old, with very few miles on them. 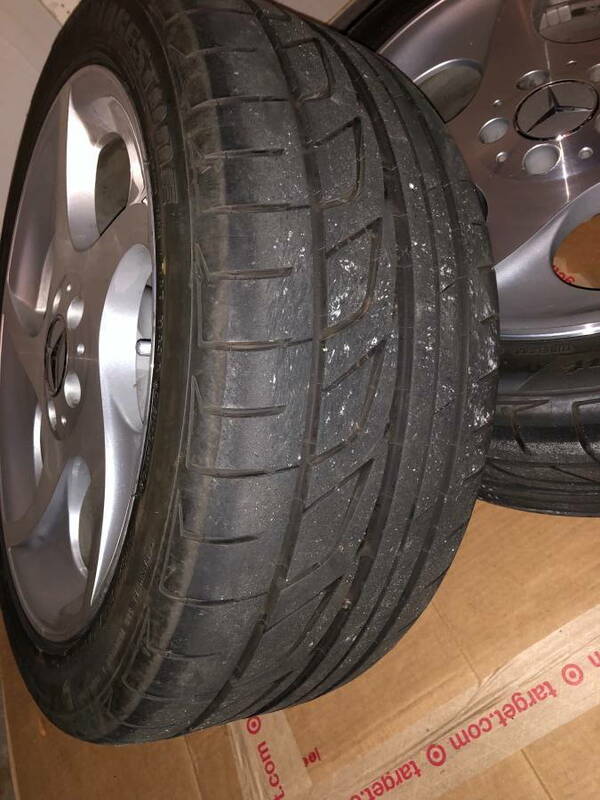 Front Tires are Bridgestone Potenza RE760 Sport , size: 255/40/18 - 80% rubber on them. 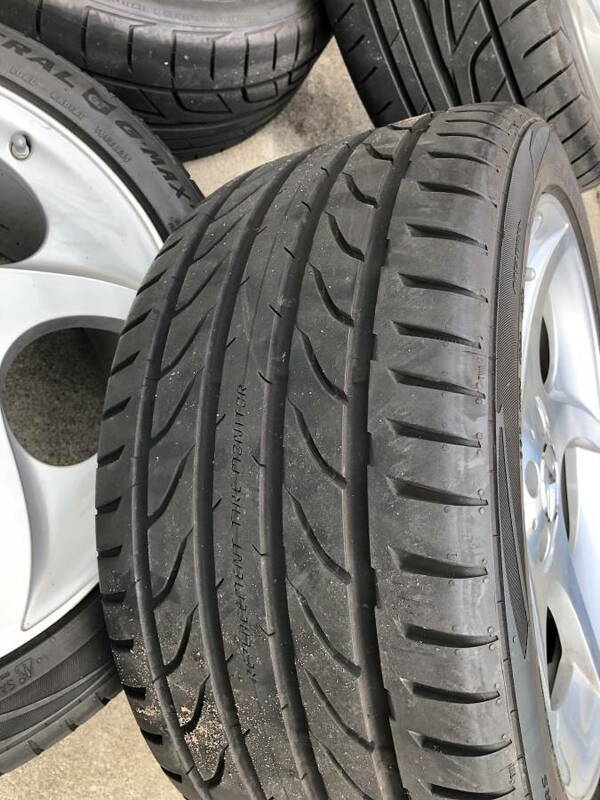 Rear tires are General G-Max RS UHP, size: 285/35/18 - 90% rubber on them. 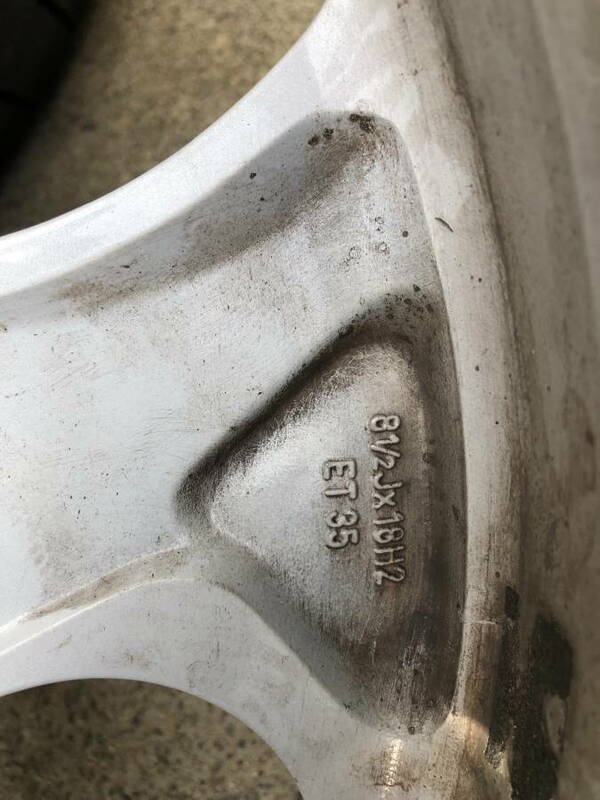 Wheel center bore is 66.6 mm and they should fit most Mercedes and some Audi/VW cars. Please check your specifications. I cannot guarantee fitment on your car. Sold as is. Wheels are very clean and look great. No curb rash. No dings, bubbles or peeling. These wheels have been pampered. Only one of the rear wheels has a very slight bent on the inside lip. It does NOT affect balancing or driving. No air leaks at all. The wheel/tire balanced with no issues at all. It's mostly cosmetic and since it's on the inside, it's not visible at all. Absolutely no issues with the tires. 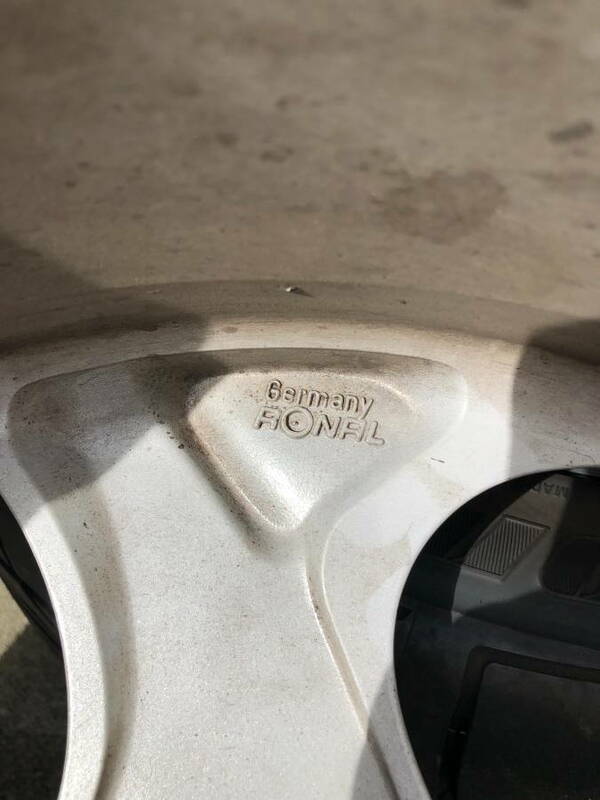 There are newer non-oem TPMS sensors installed in all 4 wheels but i am not sure if they will work with your car/model. Mercedes models are very specific about these sensors so one sensor type usually does not fit all models. 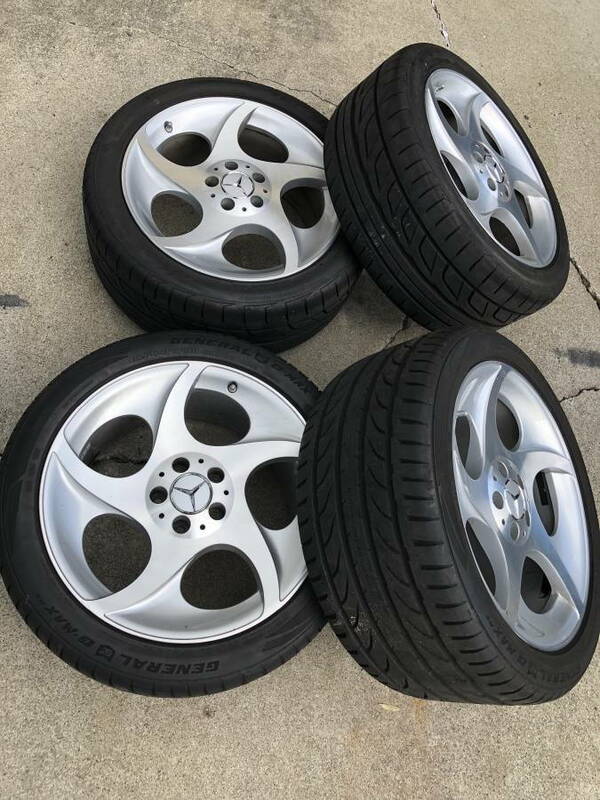 Wheels and tires are located in South San Jose - SF Bay Area, CA. I can ship, but buyer will have to cover shipping cost. I can get shipping quotes if needed. Verified PayPal accepted only or cash. The tires only are around 26-27lbs per tire, so you can see that the wheels are about 25lbs, on their own.